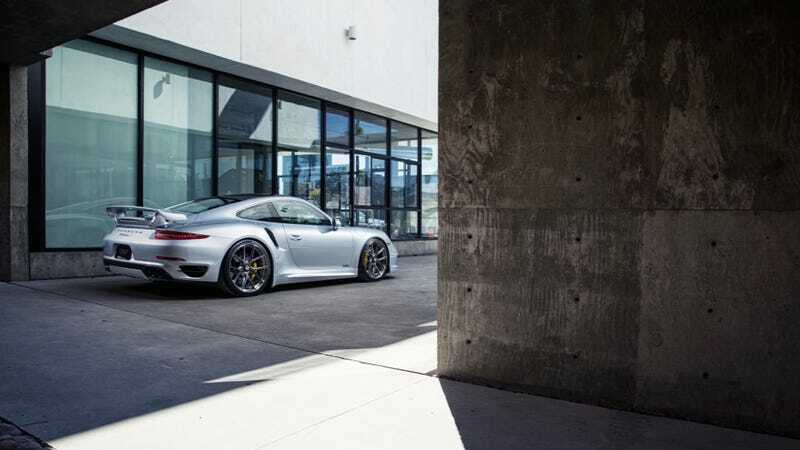 The Porsche 911 Turbo S is good. We drove it for an entire week, just to assure you of that. It's also one of the prettiest 911s ever made, but with just a few light enhancements (yeah, yeah, sacrilege), it can look even better. This particular Porsche 911 Turbo S, built by TAG Motorsports, features a TechArt body kit and springs, HRE Wheels, AWE Tuning exhaust. Photo credit Alex Bernstein. Used with permission. For more of his work, check out his website and Facebook page. For a big desktop version, click here.